issues concerning the Baltic Sea, particularly eutrophication. where abstract concepts like eutrophication are given tangible form in the shape of zombies. The Baltic Sea is one of the most polluted seas in the world, suffering from large 'dead zones' without oxygen. Although the sea is surrounded by nine developed countries, efforts to save it have proved to be insufficient. Baltic Warriors aims to explore the powers that are active in environmental politics and inspire new ways of thinking. Participatory culture is one of the strongest emerging trends of the 21st century, and larp is one of the fields where change and progress is happening the fastest in countries like Finland, Germany and Poland. Baltic Warriors builds upon the methods and techniques created in these grassroots cultures to take on serious issues such as eutrophication, the process leading to the growth of oxygenless dead zones in the Baltic Sea. "Raising awareness wasn't not enough for us", lead designer Mike Pohjola says. "In the a Baltic Warriors event, you was one of the people working on this issue and after the event, the problems of the Baltic Sea was a part of your direct experience." Because this type of larp is a new thing, the internationalism of Baltic Warriors is on an unprecedented scale. Taking larp from one country to the next is already very unusual, but in Baltic Warriors, the game did take a tour to seven countries, and the games will formed one unified storyline going from one game to the next. "Perhaps in the future, larps will go on tour all the time. But right now, we're doing something that hasn't really been done before", Pohjola says. Each game was based on local issues and done together with local organizers to ensure that participants will get to engage with issues directly relevant to each country. According to our analysis, a core problem of talking about these issues is that they're invisible. To solve this problem, we have decided to use the brute metaphor of viking zombies to represent eutrophication. In the world of the larp, eutrophication and zombies are one and the same. This allows us to create concrete situations that are easier to grasp in the context of the game than real-life eutrophication. 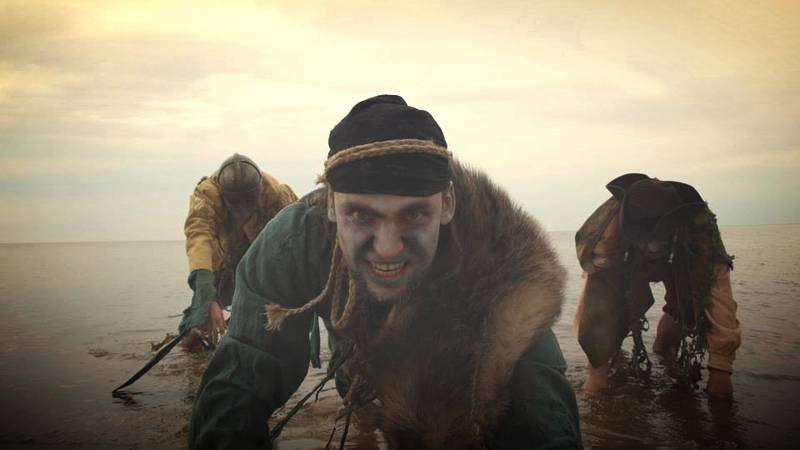 The zombies crawl out of the sea to attack the living. To make sure that game events get properly contextualized with the real-life issues, we created a panel discussion featuring experts on the field following the larp. The panelists was scientists, politicians and and activists from national and international NGO's active in the Baltic Sea region. In each country we collaborated with universities, scientific institutes and ministries of environment, as well as organisations like HELCOM, the Baltic Sea Action Group, Oceana, the Coalition Clean Baltic, and the Estonian Fund for Nature. The effect on this was bigger than we expected and many organisations was impressed but the way we managed to explore and show a questions that is normally hidden from peoples eyes.